This beautifully carved Pounamu was worked by Brian Hill of Jade Artisans. We had the pleasure of framing this item for a client desiring a unique wedding gift for U.S based family members. Presented within a simple black box moulding the Pounamu has been secured to the rear mount with fine monofilament. The top mounts have been positioned towards the front of the moulding allowing shadow play across the rear mount. Use of a V-Groove linked the Bride & Grooms names with the meaning of the Pounamu work. 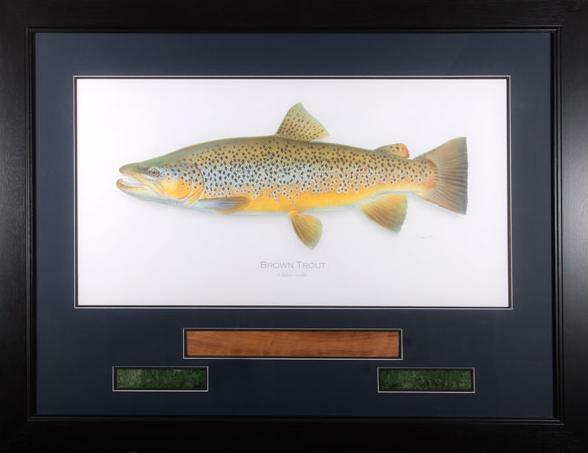 If trout fishing is your passion then this magnificent Martin Simpson Print will delight. 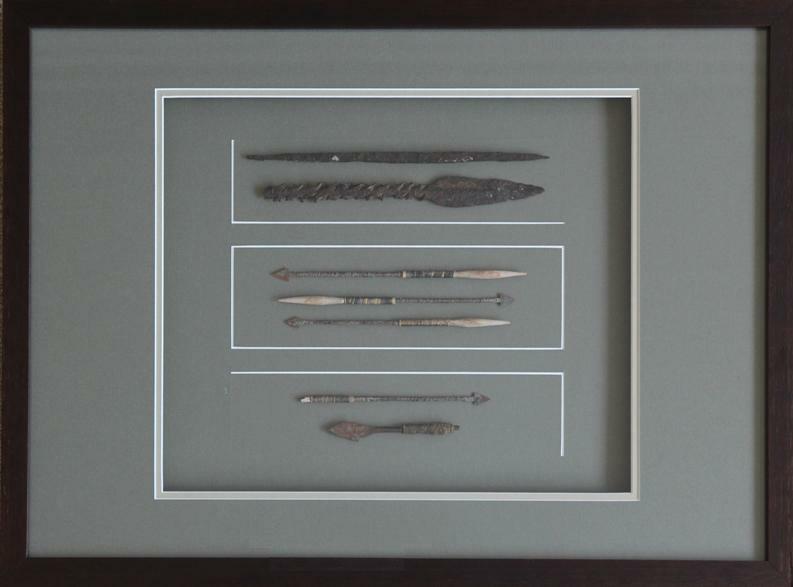 Framed with inserts of Black Maire and Kokopu (trout) Pounamu this is a personal favourite.